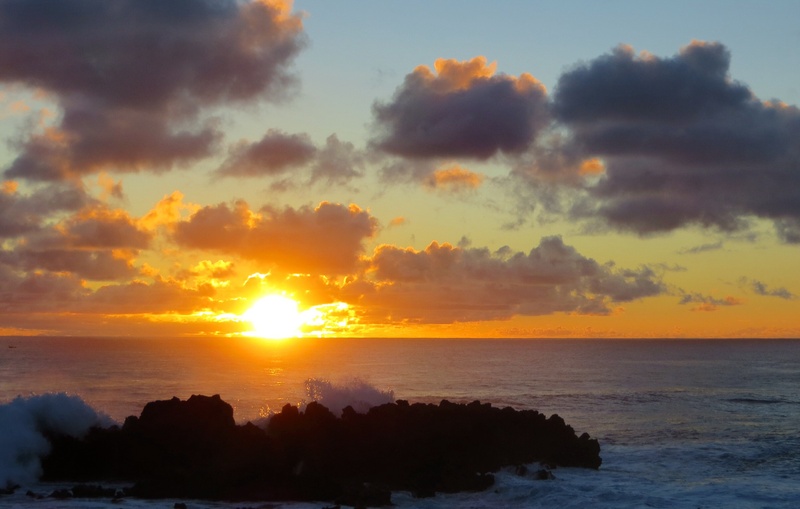 I am on Rapa Nui – or Easter Island, as it is known to most of the world. I arrived yesterday afternoon, after flying 3700km across the Pacific Ocean from Santiago. 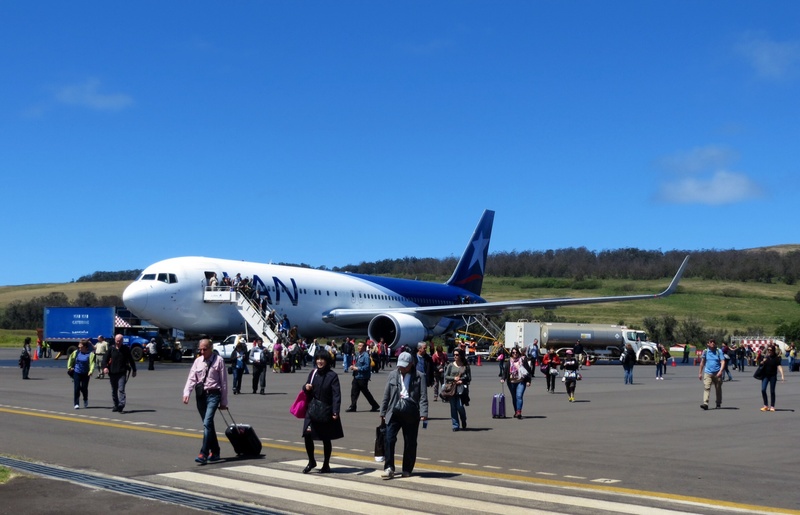 Depending how you define it, I am at the most isolated, inhabited place on earth – the nearest inhabited land mass to Rapa Nui is Pitcairn Island, over 2000km away. The contrast between The Sacred Valley and Santiago was stark; but the contrast between Santiago and Rapa Nui is even more so. When I left the tranquility of Peru and returned to Chile, I was still in South America and the backdrop of the Andes didn’t change. But here, I am in Polynesia and the backdrop is now the Pacific Ocean. It might be part of Chile, but beyond sharing the same flag it couldn’t be more different. Arriving here is a incongruous experience. The island is little more than a rock on the middle of the ocean – 25km by 15km in size – with only one small town on its west coast. The airport is situated, literally, on the edge of the town: it took me 15 minutes to walk to the waterfront. And the airport building is nothing more than a few check-in desks and a small hall to collect your luggage. Yet we arrived is a major airliner, which parked up beside the runway and disgorged it’s passengers on to the tarmac, who then casually walked over to the arrivals hall taking photos as they went. It just didn’t feel right. I am camped on the edge of the town overlooking the ocean. There is a constant, deep rumbling soundtrack of ocean waves braking on the rocky shore just 50 metres from the campsite. This morning we have awoken to heavy skies and rain showers. But I am in no rush to explore the island and its famous ‘maois’ – the huge, carved stone heads that sit on the coastlines looking out over the ocean. I am here for the next 10 days, and right now I am savouring the peace and solitude – and the absence of my daily commute on the Santiago metro.